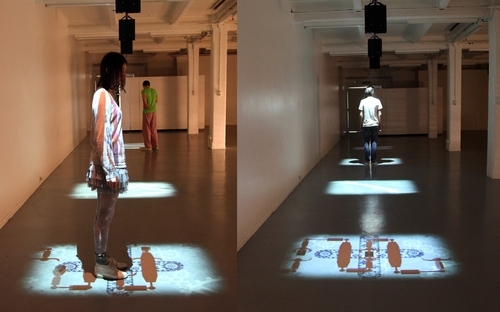 In the interactive installation SHADOWS, the artist creates a “coming-to-life” visual and acoustic environment, into which viewers are engaged as both active participants and observers. The abstract concept of time becomes graphic, and viewers document, comprehend, change or justify their understanding of the phenomenon of Time. The project was developed at the Cyland MediaLab.